Archbishop Wood’s Hall of Fame is dedicated to those outstanding Wood graduates who, through their accomplishments and involvement, have brought honor to themselves and the Archbishop Wood community. The award celebrates and formally honors alumni who have made contributions in a number of important ways. 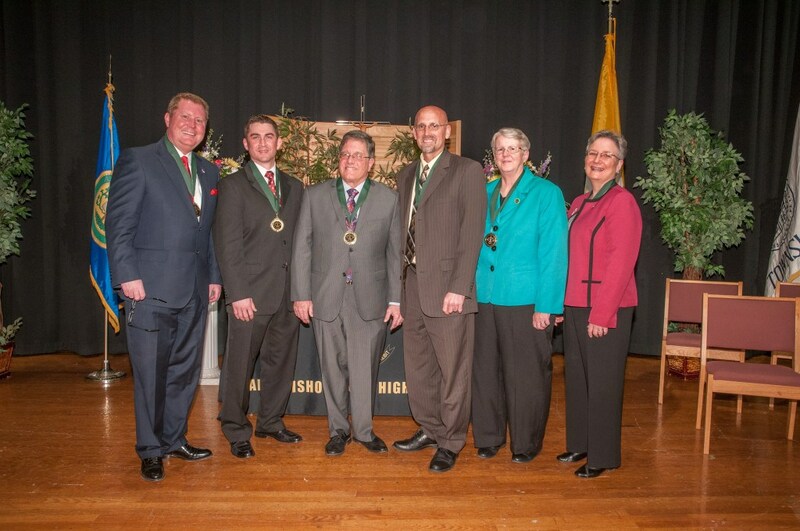 It recognizes those who have made a significant impact on their communities and their professions and those who have had a lasting impact on Archbishop Wood’s students and mission through their commitment to Catholic education and their active involvement, leadership and support of the school. The most recent Hall of Fame induction ceremony brought together over 160 alumni, parents, and friends on April 25th, 2015. Celebrating the school’s long legacy of excellence, each inductee was formally recognized for his or her distinguished accomplishments in six categories. The evening included an induction ceremony in the auditorium and cocktails and dinner in the gym which was transformed into a lovely reception space. Daniel Finello ’68: The Viking Award. Click Here to see and share event photos.